Locality: United States, Colorado, Jackson, West side of Muddy Pass, U.S. Route 40. 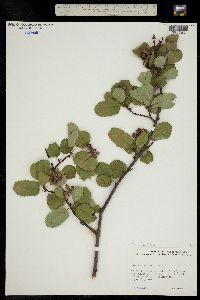 Occurrence Remarks: Transferred from USGS Herbarium, Denver, CO (2005). Originally ID'd as Amelanchier pumila Nutt. Cyanogenic study, No. 93. HCN positive.